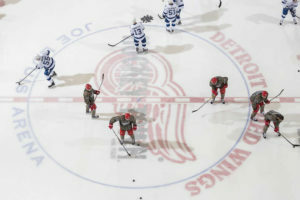 The Detroit Red Wings welcomed the Tampa Bay Lightning to Joe Louis Arena on Tuesday night. They would drop to a three-way tie for second-to-last place in the Atlantic Division after the loss. After a misplay behind the net, Red Wings goalie Petr Mrazek allowed Lightning forward Nikita Kucherov an easy empty-net goal. It came only 3:30 into the first period. Soon after, a Victor Hedman point shot would be potted by Steven Stamkos following a rebound for the two-goal lead. Detroit did manage to score with 1:19 left in the first. Luke Glendening set up Frans Nielsen in the slot, from which Nielsen then backhanded past Ben Bishop. Steven Stamkos was injured in the first period after he and Gustav Nyquist collided. He would leave the game and not return. The second period would be scoreless, but it was not without fireworks. Near the six minute mark, Detroit’s Steve Ott lined up Tampa’s Cedric Paquette as the latter came around the Lightning net. Ott stayed on his feet, making it a clean, hard hit. Paquette was shaken up, leading to Brian Boyle retaliating. The ensuing fight seemed one-sided, as Boyle did not allow Ott to stand up as he threw punches. Both received fighting majors, but Boyle also received two minutes for instigating and a ten-minute misconduct. The third period began like the first. Defenseman Nikita Nesterov opened with a goal only 1:29 in. It was a simple slap shot with a good screen by Ryan Callahan. However, the Red Wings managed to come back with two quick goals. Defenseman Ryan Sproul scored his first career NHL goal in just his seventh game. The goal came six seconds into a power play. Justin Abdelkader screened Bishop, while Sproul scored on a wrist shot. 2:26 later, Henrik Zetterberg made it 3-3 after a nifty play by rookie Anthony Mantha. Ryan Sproul earned the secondary assist as his slap shot rebound was retrieved by Mantha. He then passed it behind his back to Zetterberg who finished. It appeared the game was destined for overtime, but Kucherov finished the game with book-end goals. Darren Helm was also injured in the third period after he was hit low by Nesterov. The force of the hit lifted Helm forward and he landed awkwardly on his shoulder. With wins for Florida and Toronto win, Detroit is now tied with the Maple Leafs and Panthers for fifth place, ahead of only the Buffalo Sabres. But, they are only two wins behind second place. Helm will miss up to six weeks due to his shoulder injury. Stamkos is out indefinitely due to a lateral meniscus tear. Detroit had 50 shot attempts; Tampa had 38. Defenseman Mike Green led all skaters with five shots. The Red Wings outhit the Bolts 23 to 14. 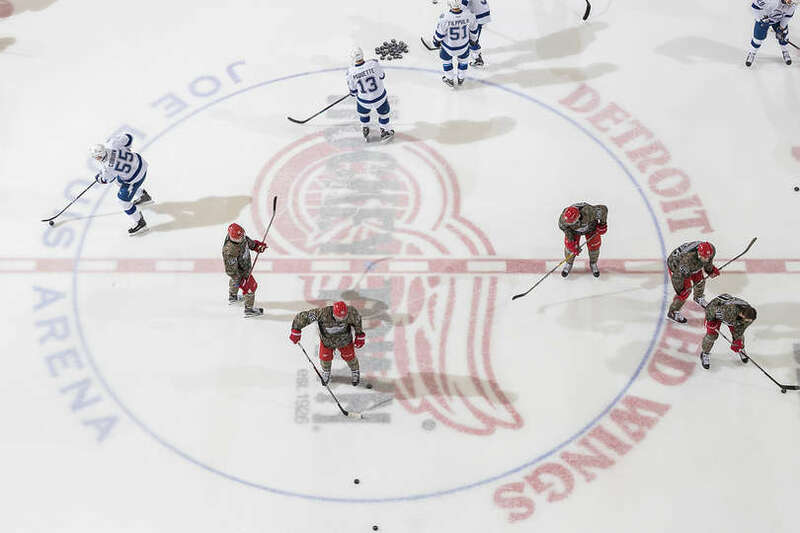 Ott had five hits; Glendening had four. Detroit will take on the Washington Capitals on Friday on the road (7:00 ET) before returning to Detroit to face the Calgary Flames on Sunday (7:30 ET).